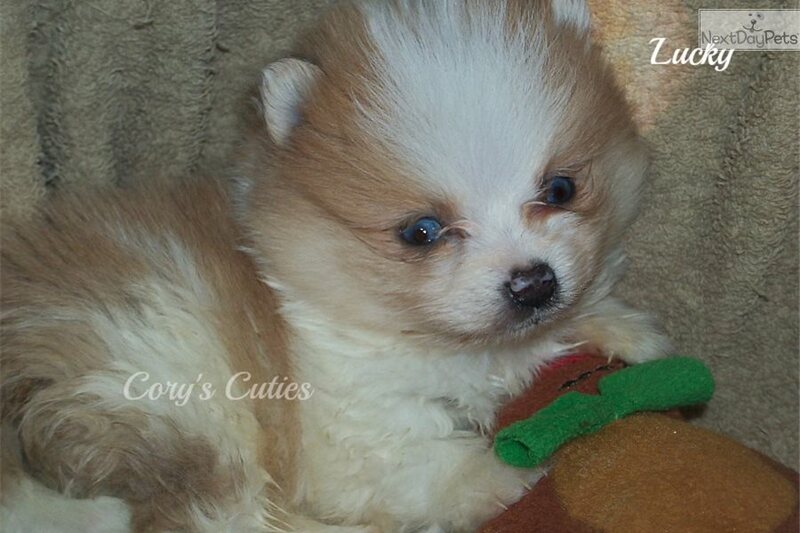 This Pomeranian nicknamed Lucky sold and went to a new family. Financing available! Orange merle parti male. He does have blue eyes. Charting to be 3 pounds grown. A $200 deposit holds him for you. Ready 4-18-18. He comes up to date on vaccinations & wormings with AKC registration, pedigree, shot record, 1 week health guarantee against disease, 1 year genetic guarantee, full vet exam, health certificate from my vet & baggy of puppy food. We do ship by major airline for $285 which includes a new travel crate. Visit my website for more information. Thank you.